When we complete a badge set does the trait bonus in the badge also get a 20% boost? For example if my DR badge gives Sasha a +2 for having iron skin. If I get the .4 boost on that it gets me exactly to 80% DR. I don't think so. 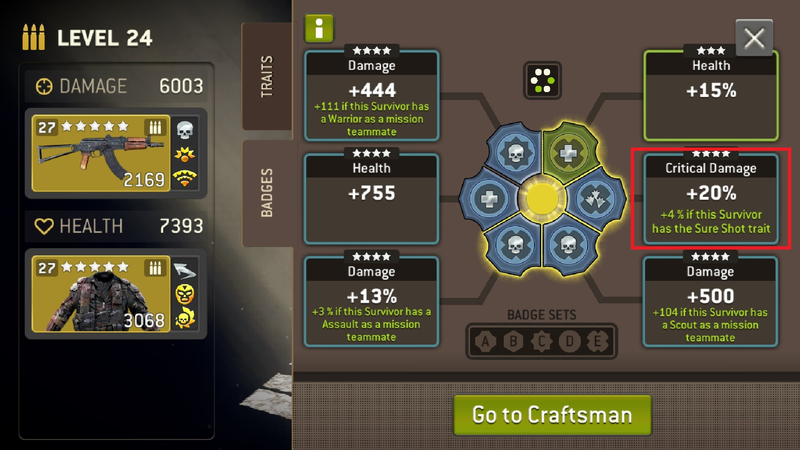 I have a badge with a +5 bonus and if that got the 20% bonus then it would surely go to +6 but it stays the same. I think it's just the base that gets boosted. THE BONUS IS AFFECTED BY A SET BONUS. When calculating damage for a survivor, I got this formula that proves it. Edit, simple explanation of what I found. Imagine a survivor doing 1000 damage. 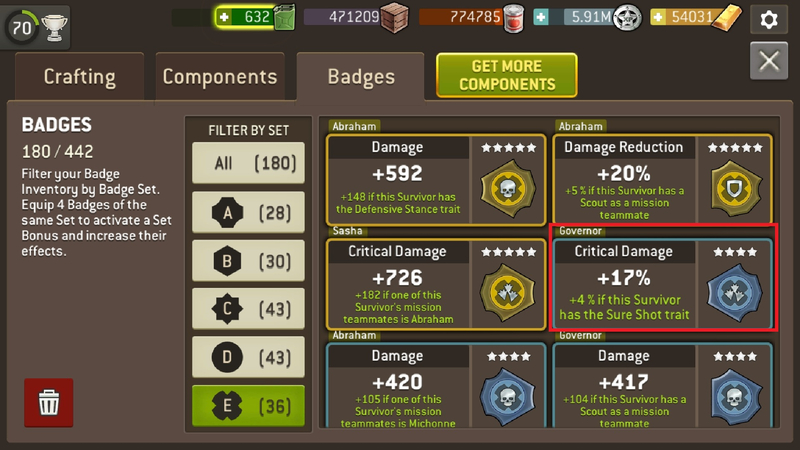 Then add a badges that boosts +20% and +5% for a condition.